Believe it or not, electronic messages were sent and read on the same computer circa 1971. That is, until Tomlinson’s technological leap forward. To help enable electronic messaging between computers, Tomlinson employed the @ sign to separate the user from their machine and the rest is amazing history. There are an estimated 4.35 billion email accounts worldwide with consumer-based accounts making up roughly 77 percent of that total, according to Radicati. Astonishingly, there are more than 205 billion emails sent every day and, by 2017, Radicati projects that business-related emails will surpass 132 billion per day. Speaking of business, email marketing is technology’s rendition of direct mail: tried, true and steady. However, over the next three years, VentureBeat predicts that email will move from being a digital marketing workhorse to becoming the connecting fiber between all marketing channels, including social channels—the digital glue that keeps customers in-the-know and engaged in positive experiences with their favorite brands. On the surface email is unsexy, but it remains an incredibly effective way to reach people. So effective, in fact, that email marketing generates the highest return on investment (ROI) of any marketing channel. Email as a marketing channel is perfectly suited for this evermore mobile world, too. According to VentureBeat, and data gleaned from the US Consumer Device Preference Report, more than 65 percent of all email is now opened on either a smartphone or tablet in the US. Of that mobile-device subset, people accessing emails on-the-go do so 84 percent of the time via smartphones. What’s more, data from Marketing Sherpa points to the fact that 91 percent of adults (US) say that they like getting promotional emails from companies with which they do business. Billions of emails are sent everyday. That means that your customers may have Inbox overload. 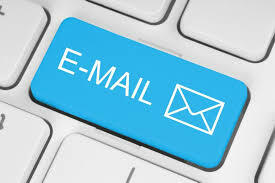 Email generates the highest return on investment of any marketing channel: for every one dollar spent, email marketing generates an ROI of $38.00, according to VentureBeat. Supporting this statement is data from the Direct Marketing Association (DMA) that reveals that email marketing provides an average ROI of 4,300 percent (US). Open rates of B2B marketing emails are steady, hovering around 30 percent. When businesses send their email campaigns to consumers (B2C), open rates span from 30.5 percent to 34.9 percent, according to a report from HubSpot; click-through-rates (CTR) range, on average, from 2.9 percent to 6.5 percent. Be relevant, be clear and be concise when creating content for your marketing emails. Companies often concentrate heavily on promotional offers within their emails at the expense of useful and well-written content, asserts a report from Target Marketing. Offers or flashy videos may get the attention of users, but it is the quality of the content that turns observers into people who engage. Furthermore, A/B test your content and creative, and employ and leverage analytics to continually refine your email content and campaigns. As more people access the Internet—and open emails—via their mobile devices, businesses will need to “think mobile” first and organize their content (i.e., their messages and offers) to provide readers with the best possible experiences. In other words, create marketing emails that are formatted in a mobile-ready, or responsive, design. Remember, too, to avoid breaking URLs into two lines because it may break the link and frustrate the user, aka your customer. And segment your email marketing campaigns: sending messages to specific groups within your lists creates relevancy and relevant email campaigns garner better results (e.g., emails with personalized subject lines are 26 percent more likely to be opened). And don’t forget about transactional emails: purchase receipts, confirmations, shipping notifications and password resets. Campaign Monitor cites open rates for transactional emails as four-to-eight times higher than “traditional” emails because customers are usually asking for the information contained in them. Finally, always give recipients a way to unsubscribe from your list(s).